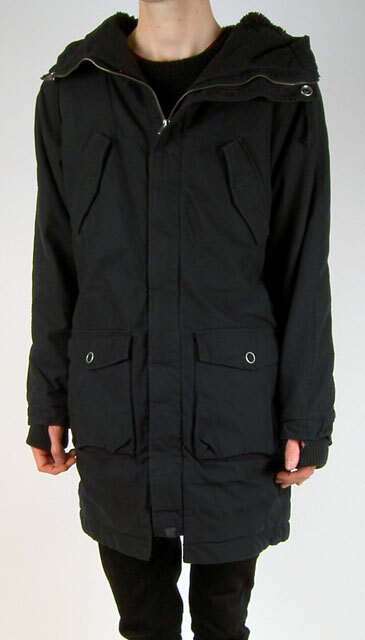 The first time I ever saw the Cheap Monday Tor Parka was a cold Winter's day that seems a lifetime ago now. The sun blazed cruelly, offering no warmth, overhead in the crisp blue sky, and the air seemed so frozen that you could almost feel the ice on your dry lips. I was wrapped up in a cream knitted wool jumper, faded blue jeans and brown leather brogue boots, but still felt the chill in my bones, especially my knees (I realize that makes me sound like an old man, however unfortunately my knees have never fared well in the cold). I caught a glimpse of the Tor from behind, sashaying through the crowds, a movement made all the more dramatic given its oversized nature. Peeking out from the bottom of the parka were a pair of long legs, clad in grey leggings, and a pair of beat up Dr Martens tattooing the pavement beneath them. The hood was down revealing a messy bun of bright red hair tied with a ribbon that fluttered in the wind. 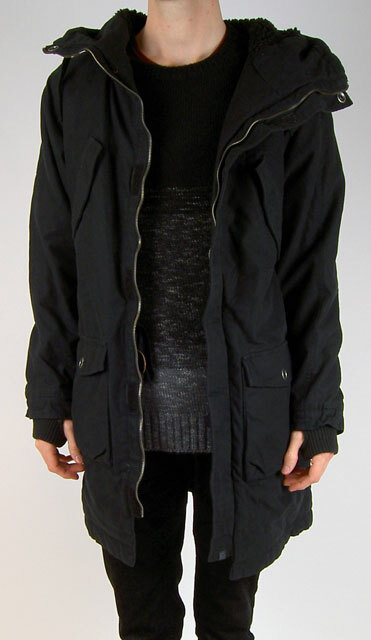 The parka was worn by a woman. 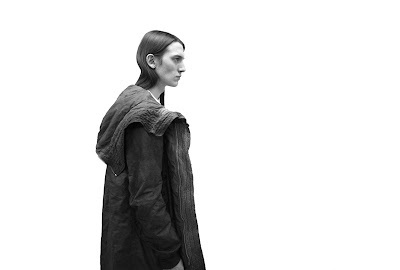 The Tor Parka was something of an enigma in truth - appearing from nowhere, selling out in a flash, and then disappearing quite as suddenly as it had appeared. Indeed I have attempted to find one (size XS in black if you please) for almost two years now, however it remains as elusive as it did when I eventually did discover the name of the garment I had seen that woman sporting. 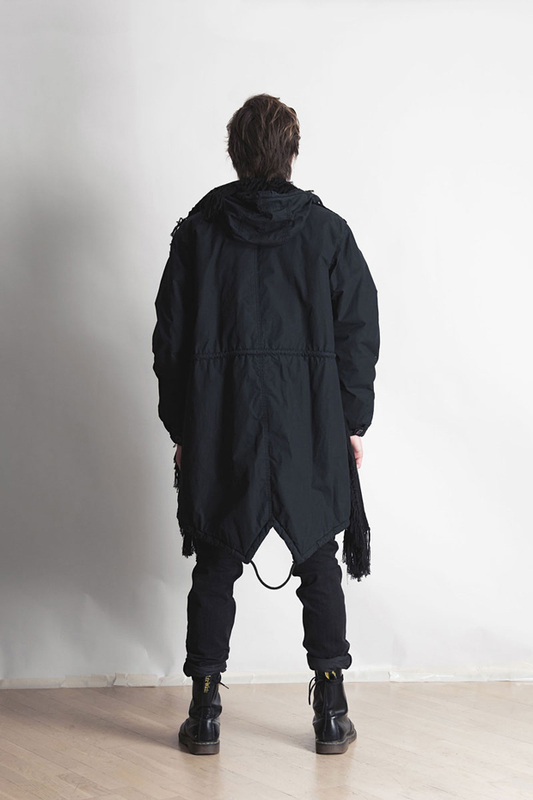 After that first moment I saw the parka in person only twice more, although it had somewhat of a cult following online, and fell in love with it on each sighting. 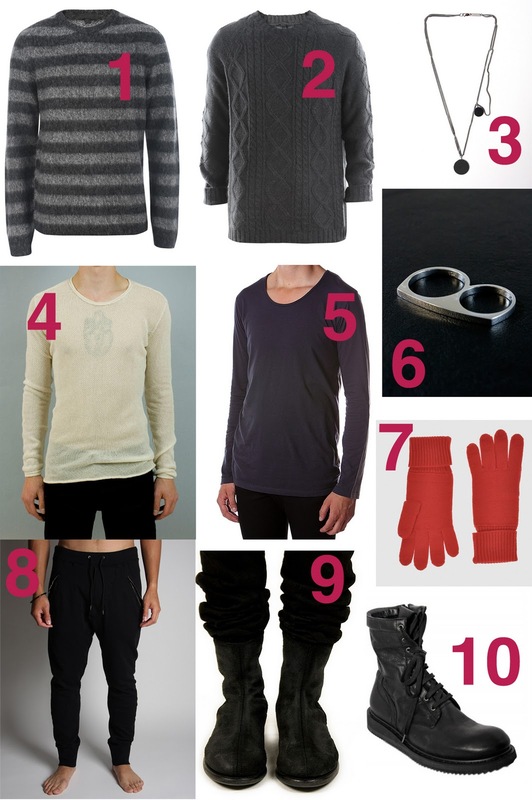 The second time I saw the Tor, it was worn by a man who had paired it with bright red jeans and white patent leather Maison Martin Margiela high tops. I stopped him to inquire where he had bought the parka, to which he replied that he was lucky enough to have a friend working at Cheap Monday who had sent one his way. He thanked me for the compliments I paid him on behalf of the parka, but apologized that it was now quite impossible to buy in the shops. 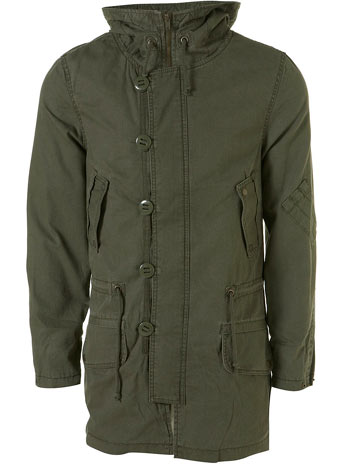 Whilst I fully intend to buy a Duffle coat, in navy with leather trim and wooden toggles, come this Autumn, I still find myself nostalgic over the Tor parka. 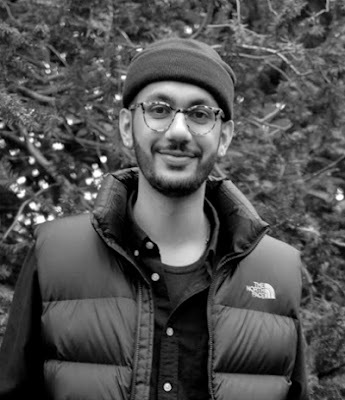 My interest was piqued by the fishtail parka in the Spring collection of the Jil Sander for Uniqlo collaboration, however it was nylon rather than cotton and understandably far too flimsy for any real cold weather. In a way I think that the parka fuels an element of escapism within me, for it fits primarily into an aesthetic, in my mind, that I do not really find myself wearing in any great frequency. I have pulled on a raw hem grey jersey long sleeve, skinny black Levis 513s and Dr Martens and thought that the parka would be the perfect finish to that outfit come Winter, however further than that I find myself opting for a different type of coat. That is not to say that I would not wear the parka with, say a bow tie and slim wool trousers, or a pink cashmere sweater and fitted mustard chinos, for it would offset either of those in a rather interesting manner. However it is a secondary thought where those outfits are concerned, and it is more along the lines of those outfits that I find myself dressing. As such I suppose it is one of those garments that would be an ancillary part of my wardrobe, placed in second position where times worn was concerned, next to another coat. Once I have bought my Duffle coat, I may actually try to find an available equivalent to the Tor parka. After all, it is always good to have options, especially with a garment as dominant as a coat. The parka above caught my attention as I was looking through the Fall 2010 lookbook from Rick Owens' DRKSHDW line. To be honest I often find myself overlooking DRKSHDW, for the garments tend to be aged in a far too stylized manner. I realize that such finishing is part of the aesthetic, however it can be verging on the excessive in many instances. Indeed whilst I enjoy the fit of DRKSHDW jeans, the aged effect has been off-putting whenever I have tried them on. I wish the pieces were, in a way, more basic, so that I would be given the opportunity to wear them in myself. Although that being said, I have to admit the waxed jeans were rather nice. 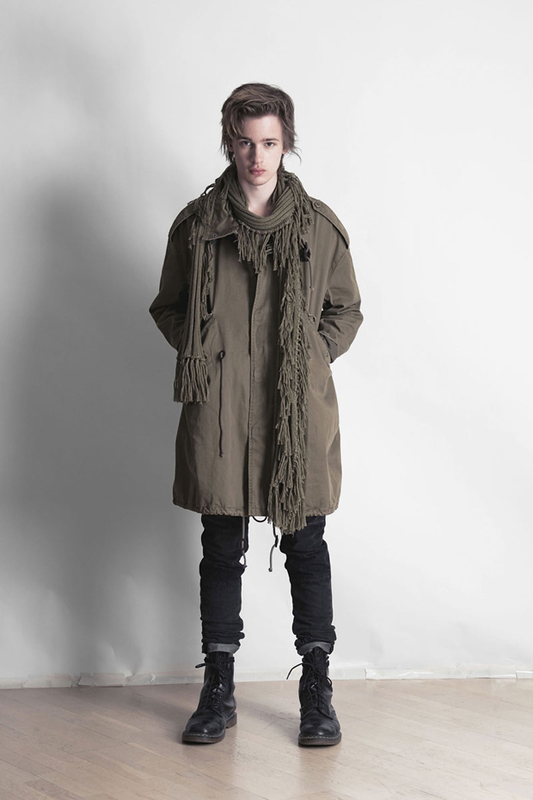 The parka above from the Fall 2010 lookbook of MTWTFSS is rather interesting, especially given the way it was styled in both outfits. I find myself preferring the black, especially with the fishtail back, however I must admit that the khaki green does have its allure. 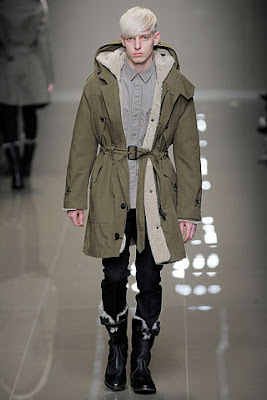 A khaki parka however would perhaps be more akin to following the well established path of the snorkel parka and the various military issue models (in particular the N3B), which the black version is somewhat aside from. The black version does not have the overt military connections, or indeed the visual similarity to those fur trimmed versions of the 1990s, and as such is afforded a freedom that allows for its position within an aesthetic distinct from the military link. Although were I to follow the military route, a vintage M-1951 fishtail parka would be nice. However who could say no to a Burberry coat? Of course were I to go down the military route, there are more affordable options out of there, of which this one has rather taken my interest. 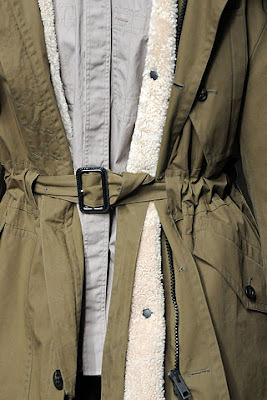 Regardless, my dream of one day finding the Cheap Monday Tor Parka and wearing it to tatters remains. That Tor parka still tops the other coats featured in my opinion. I like the cable knit sweater, sweat pants, and the geller tee you picked to wear underneath. Oh those parkers! How super cool are they? Chic even! We're moving out of Winter here so I'll have to wait till next Winter to think about buying a new coat. Those are all sweet! The fifth picture is my favorite outfit! I think the 6th picture is my fav jacket. But I do tend to like long jackets more than short.